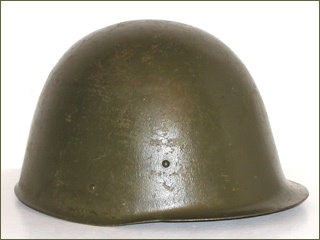 This helmet model was first issued in 1936 with the new Polish uniforms. 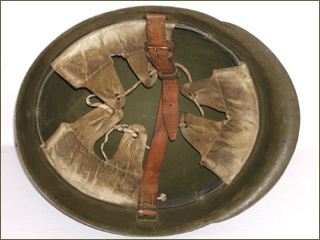 The model utilized a three-pad liner system, based on the German Model 1916 liner. These helmets were issued with an anti-reflective textured paint as well as a flat matte paint. 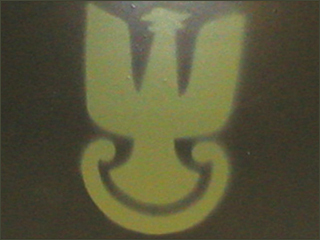 This version features the early “Salamander” finish, which was used as an anti-reflective surface. 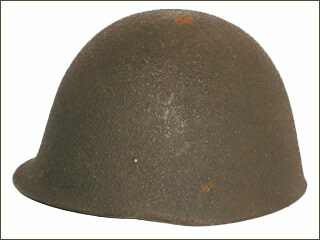 This example features the later flat matte finish, which was reportedly used by artillery crews. 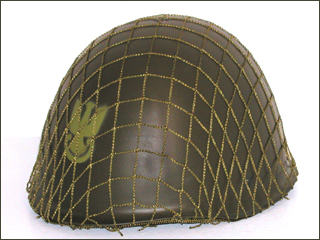 This helmet was likely reissued following the war in its original condition as it has the post-war style chinstrap. 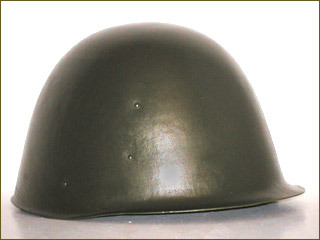 Following World War II many of the Model 1931 helmets were re-issued with a new model 1950 liner that is a copy of the Italian M33 liner system. 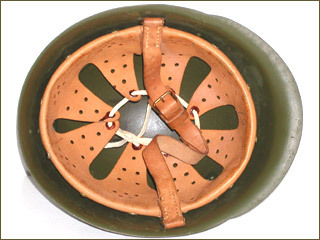 These helmets were used up until the 1980s by the Polish army. 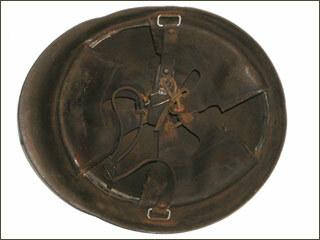 This Polish helmet model was introduced in 1967 and remained in service until the end of the Cold War.